Poor maintenance of garage door is bound to lead to costly repairs at some point in future. It is, therefore, important to keep it in a good condition with regular maintenance. If you are facing any problems with your current door, you can always trust Overhead Garage Door, LLC to offer high quality Overhead Door Repair Service in Longview, Allen, Athens, Dallas, Fort Worth, Lubbock, Sherman, Tyler, Waxahachie or other parts of Texas. Continuing the discussion, this blog covers five of the most commonly reported garage door repair problems and their remedies. A spring provides tensile strength to a door opener and helps it to lift the garage door. Being extensively used, the garage door spring is always susceptible to damage. To diagnose any issue, find two springs directly above the garage door near the wall. Check whether both the springs are intact. If not, you need to get them replaced immediately. It is advisable to hire a professional to get the springs repaired or replaced, instead of repairing them yourself. Choosing to do the repair yourself without proper training is extremely dangerous. 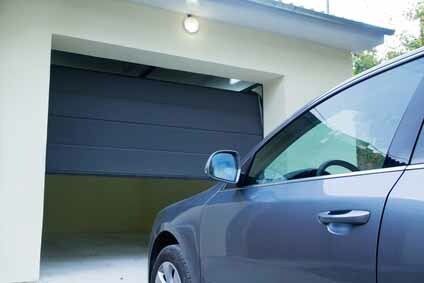 Another commonly-reported problem in garage doors is malfunctioning of remote control. If you too are facing problems with the remote control of your garage door, check the battery and replace it with a new one, if necessary. If you have replaced the battery of your remote control and it still does not work, replace the remote or give us a call to get your problem resolved. When your remote garage door is stuck half way and you are unable to open or close it completely, it is a clear sign of trouble. The most common cause for a stuck door is worn springs, and if left ignored, the issue can risk the safety of the occupants. In such a situation, contact a garage door repair professional to get it repaired immediately. Faulty photo-eye is another common reason for a malfunction in a garage door. Photo eyes are the sensors on your door that serve as an important safety feature. If the alignment of photo-eyes is off, it will stop the door from closing. In addition, if the photo eyes on a door are flashing, it can lead to obstruction in the path of the door. Hire a garage door repair professional to adjust the photo-eyes. Rollers in a garage door are not long-lasting and can bend or break over time. This can result in noisy or stuck doors. It is important to apply lubricant on the rollers every month to keep them well-maintained and to ensure proper functioning and safety of your door system. If still there is some problem with the rollers, don’t leave it until it is resolved. Consult a garage door repair professional in to get it resolved. If you are facing any of the aforementioned problems and looking for a garage door repair professional in Fort Worth, Allen, Sherman, Longview, Athens, Waxahachie, Tyler or any other part of Texas, contact Overhead Garage Door LLC. Being an experienced garage door repair and installation company in Fort Worth, Texas, we are equipped to handle all sorts of problems related to every type of garage door. Send us a message by filling out this form, or simply call 800-471-4505.